Cute adorable and charming kiddo Xia Vigor is welcomed to the Jolibee Family with a big bang! 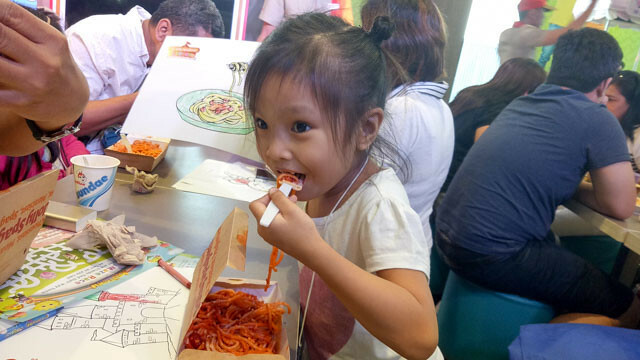 “Since its launch nearly four decades ago, the Jolly Spaghetti has remained a favorite among Filipino children from different generations and walks of life,” said Luis Berba, Jollibee Brand Manager. Jolibee's latest commercial with Xia illustrates that unforgettable sweet-sarap feeling that Pinoys get whenever they eat Jolly Spaghetti. 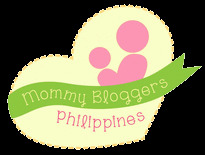 It’s like being a jolly kid again, when every moment is filled with fun, good food, and the company of our loved ones. My daughter Jenae and other kiddos and their parents were treated to a jolly day with fun, games, photobooths and dancing to the tune of the latest Jolibee Sweet Sarap jingle. 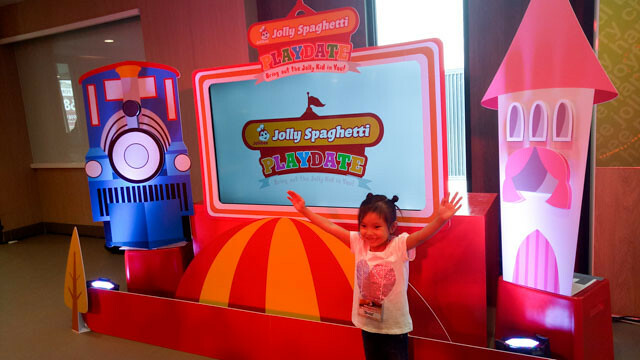 Jenae's favorite thing to ask for pasalubong is the Jolly Spaghetti. And I usually don't deny her because it is so affordable at P50.00 solo and P55.00 for the Value Meal with drink. Although she appreciates italian sauces, she really prefers that rich, tamis-linamnam tomato sauce, which Jolibee has perfected since 4 decades ago. Along with the sauce is generous amounts of beefy and juicy hotdog slices for a filling meal. 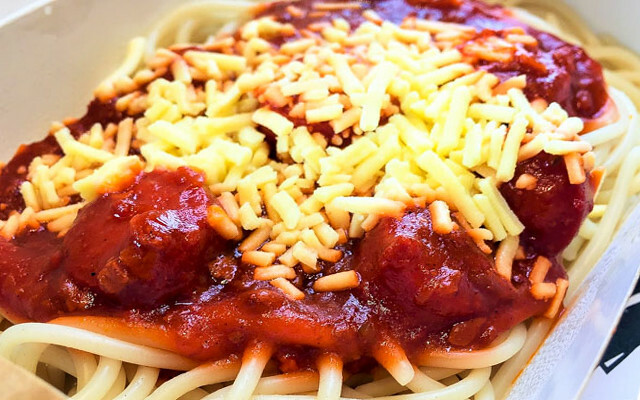 Finally, creamy shreds of cheese are sprinkled on top to complete the one-of-a-kind Jolly Spaghetti taste. 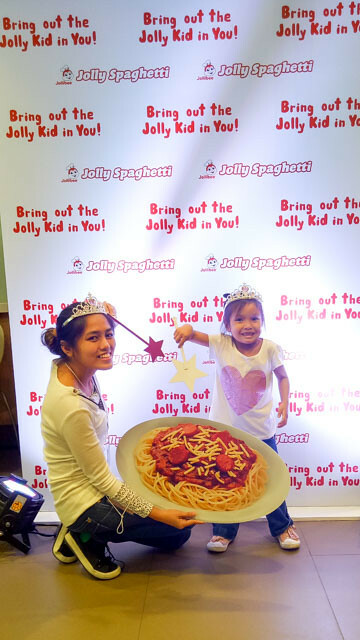 I think it is inevitable to reminisce on those fun times of being a kid after a taste of the Jolly Spaghetti, because we pinoys have grown with it through the years. Jollibee Spaghetti is a comfort food. Love to eat a serving when I feel down or when Im happy. Even my boys love Jollibee even if they are big boys na. I have a question-Who doesn't love the Jolly spaghetti? This is what I order at work almost everyday. I just keep on wanting more. I watched the video you included and I find the jingle very catchy. 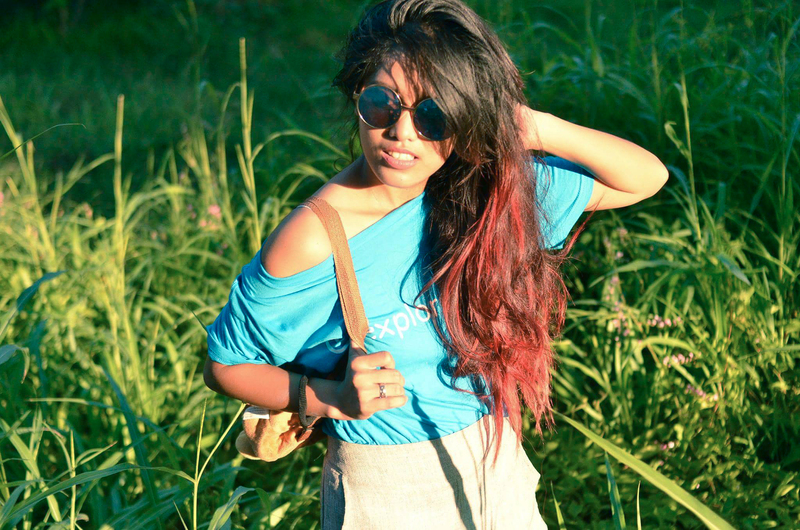 Jenae looked really happy and having fun in the pictures. 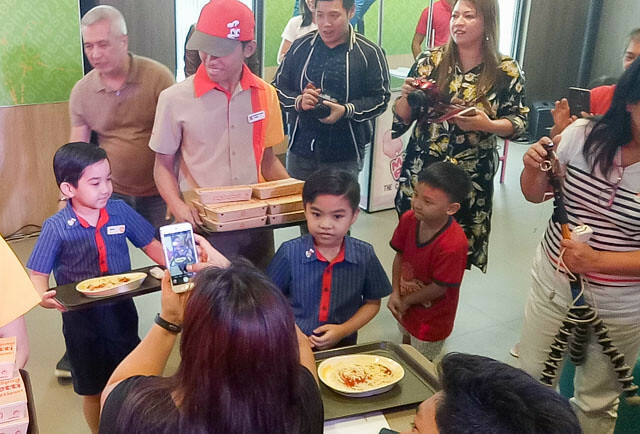 Jollibee never fails in making kids and adults smile.